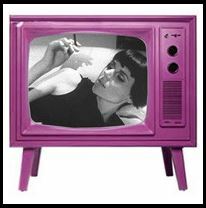 Smoking and other tobacco content are common in films marketed to children and young people, but television has the potential to reach far larger audiences than films alone. A British study has found that up to 12 percent of television programming in the United Kingdom, particularly feature films and reality TV, contain tobacco use, predominantly cigarette smoking. Specific tobacco brand appearances were rare and sometimes occurred in historical footage, but arose predominantly from images of point-of-sale displays broadcast in news and other factual reporting, and in fictional soap opera and other drama. Tobacco occurred with similar frequency before as after 9:00 p.m., the UK watershed for programs suitable for youth. The estimated number of incidences of exposure of the audience younger than 18 years for any tobacco, actual tobacco use and tobacco branding were 59 million, 16 million and 3 million, respectively on average per week. “More stringent controls on tobacco in prime time television…have the potential to reduce the uptake of youth smoking in the UK,” the study concluded.